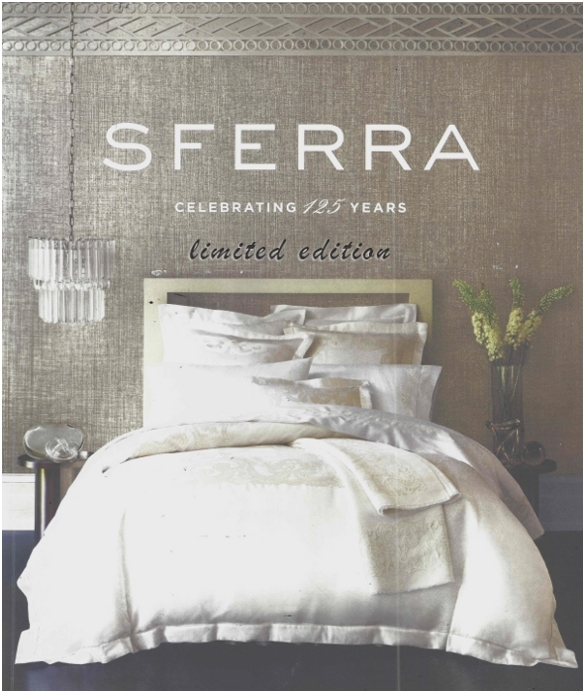 The Linen Tree is proud to announce that it will be the first US retailer to have Sferra’s 125th Anniversary Collection on our show floor in just a few days. 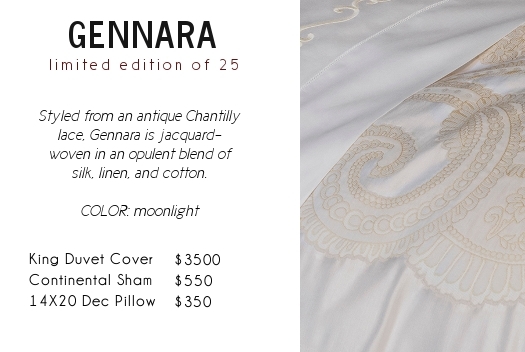 This creamy and dreamy collection features opulent prints and embroidery atop silk, linen, cashmere, Merino wool and 1,020 thread count Giza 45 cotton. 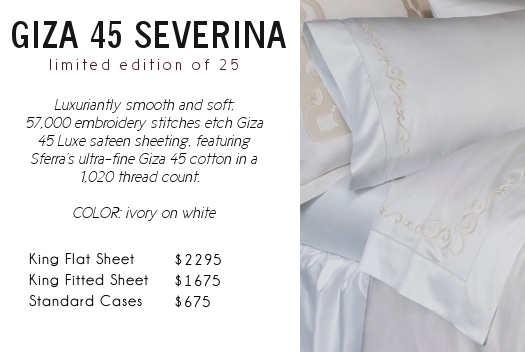 It won’t last long, as Sferra is limiting production to 25 pieces per item. We are accepting reservations now. First come, first serve! This entry was posted on Tuesday, September 6th, 2016 at 1:26 pm	and is filed under Official Updates. You can follow any responses to this entry through the RSS 2.0 feed. You can leave a response, or trackback from your own site.